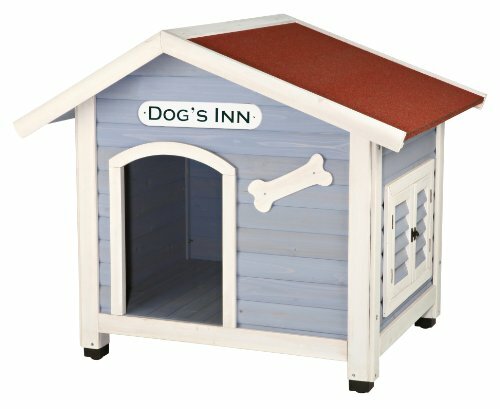 Every Doggy Needs their own den. 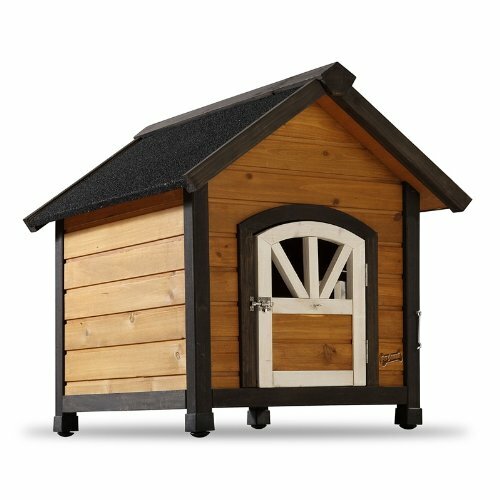 The Doggy wood dog house sets up in minutes. 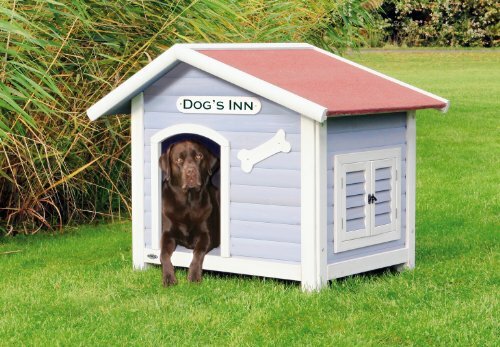 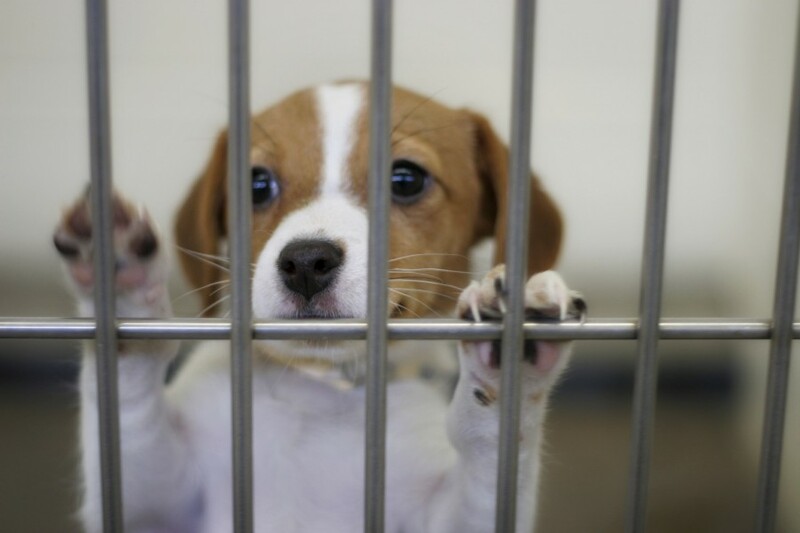 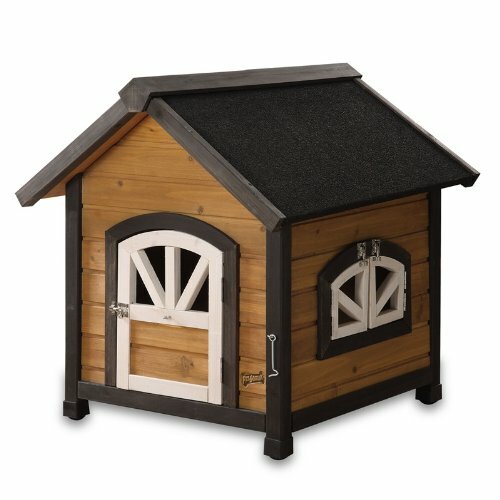 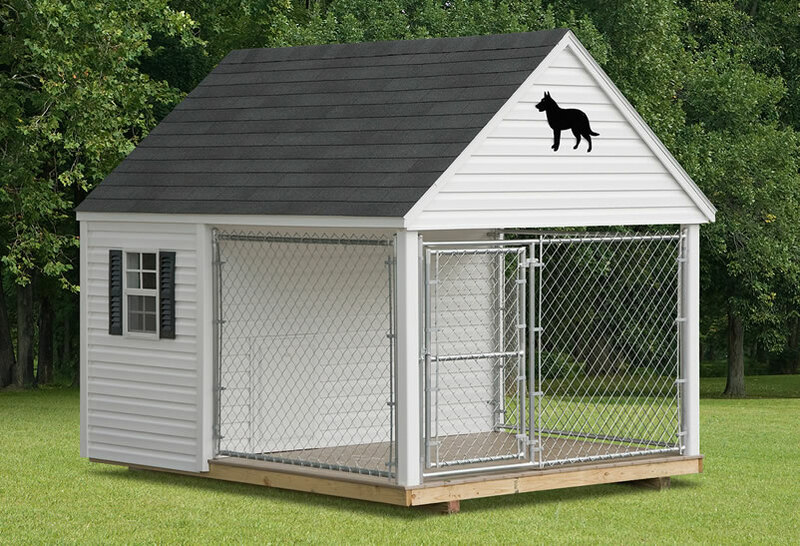 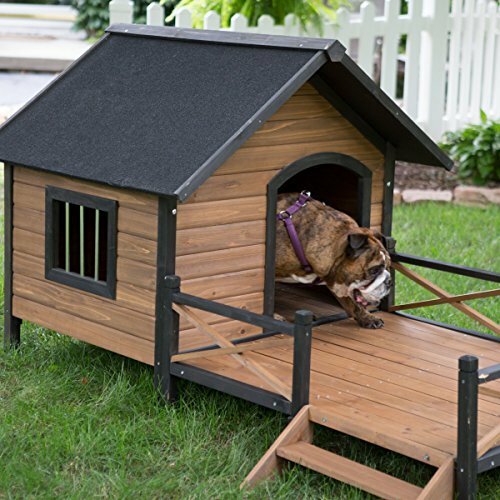 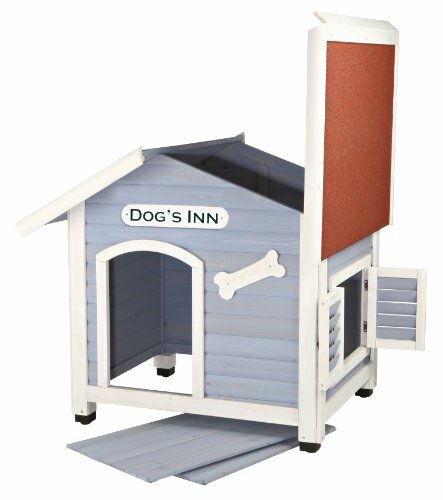 Although this den has a closing door, your doggy will prefer to leave it open using the hook attachment. 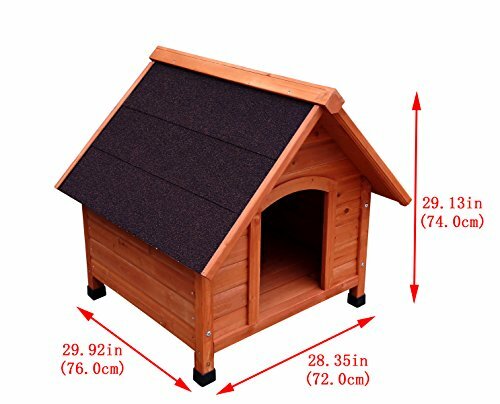 Small House Dimensions – External: 25-1/2-inch Width by 27-1/2-inch Depth by 27-3/4-inch Height – Internal: 20-1/2-inch Width by 20-inch Depth by 23-inch Height – Door Opening: 10-1/4-inch Width by 12-1/2-inch Height. 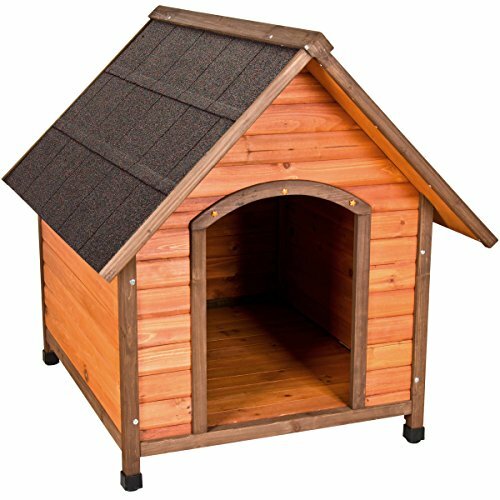 Overall External dimension is inclusive of the roof, which will have an overhang. 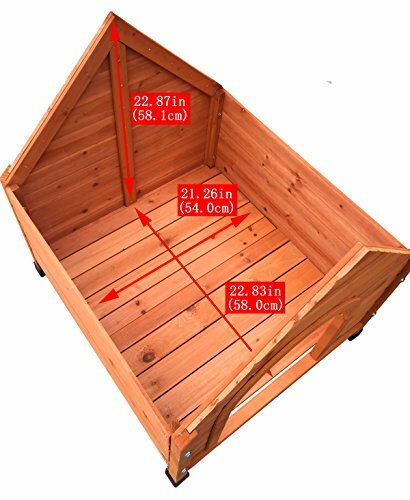 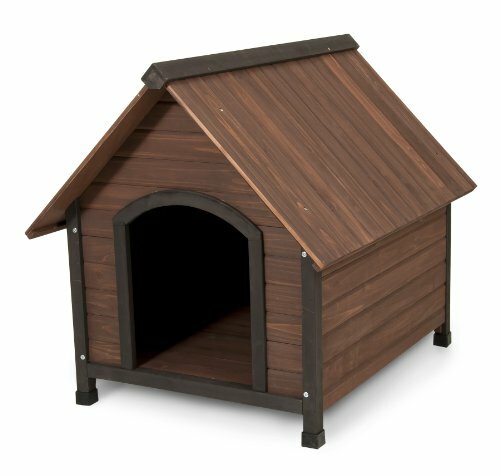 Internal dimensions indicate the habitable space for your pet, and are inclusive of the size of the interior floor space. 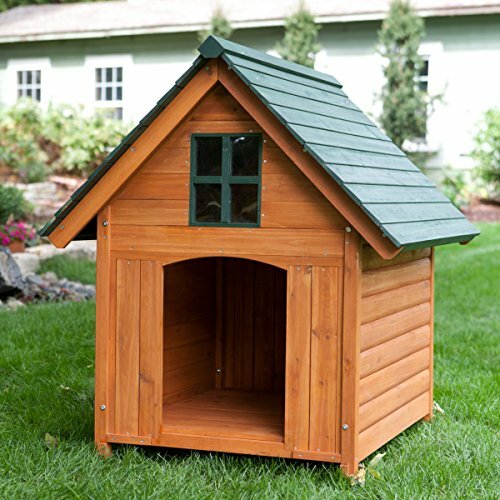 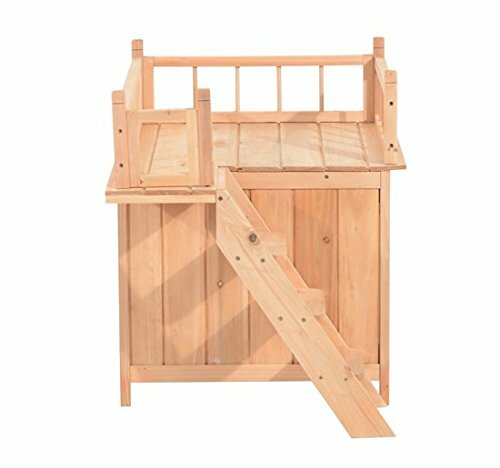 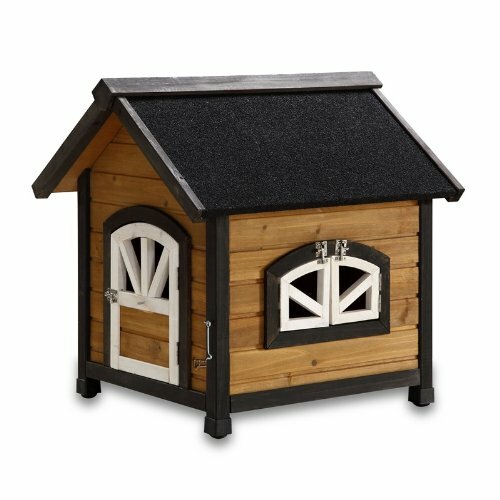 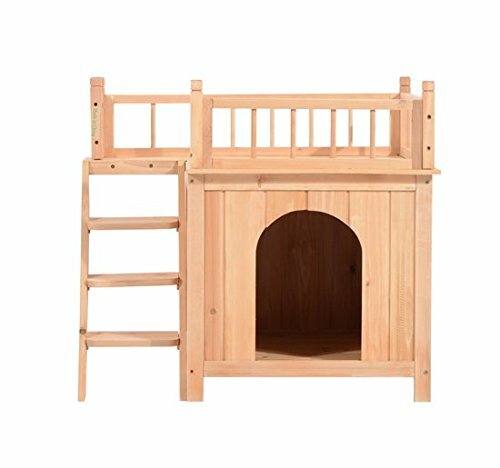 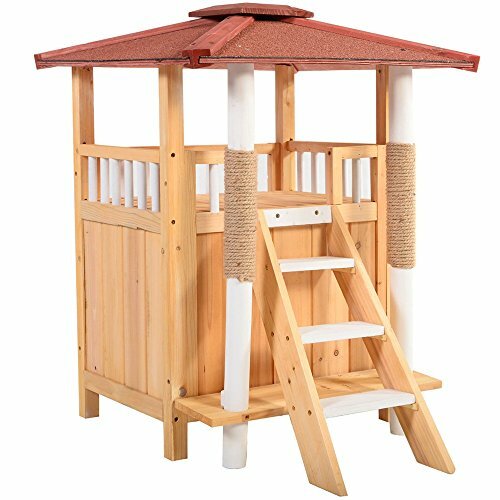 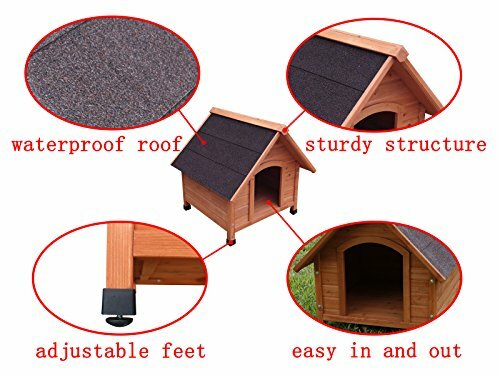 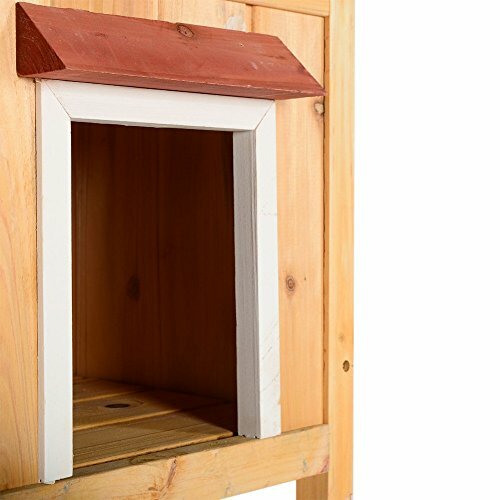 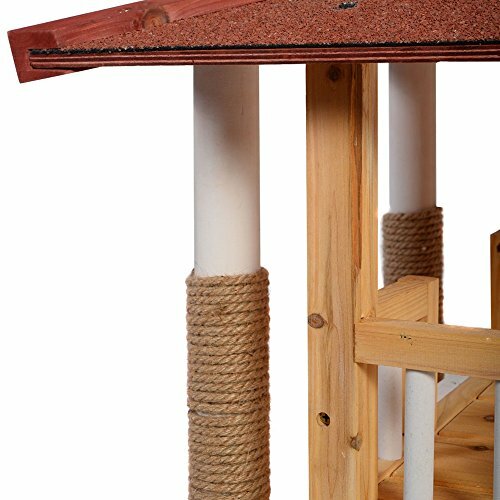 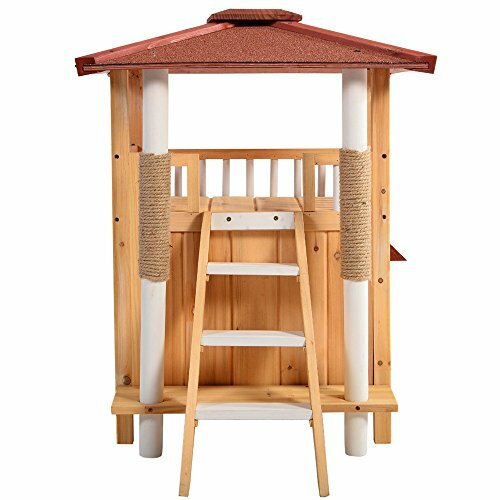 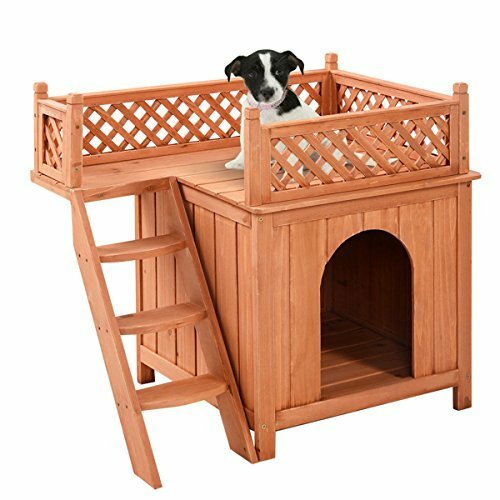 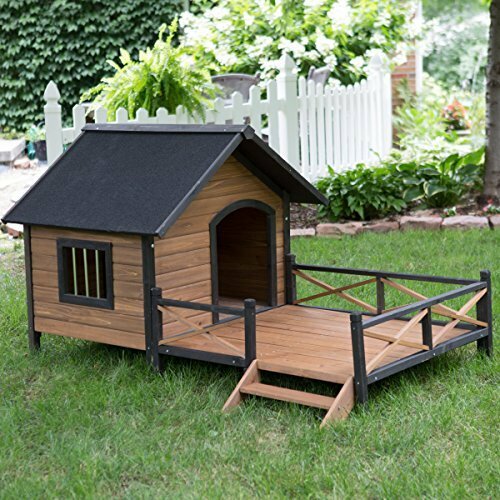 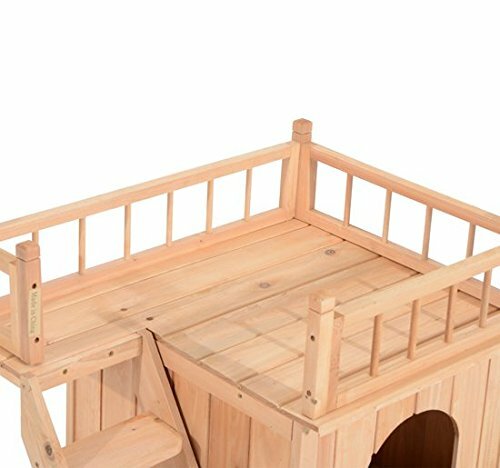 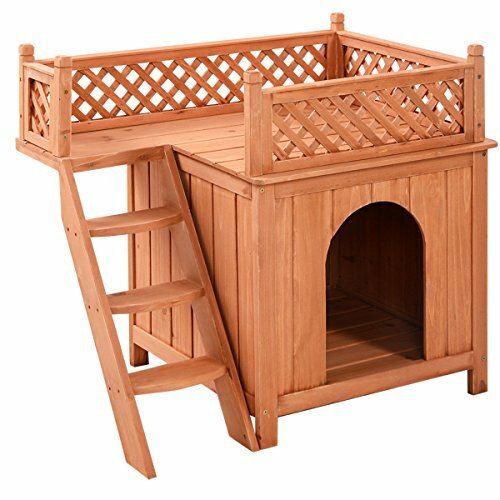 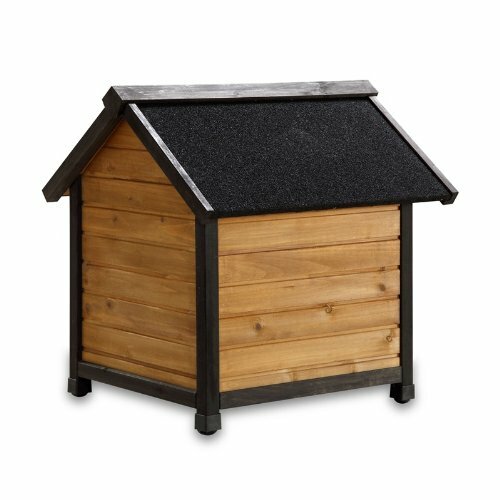 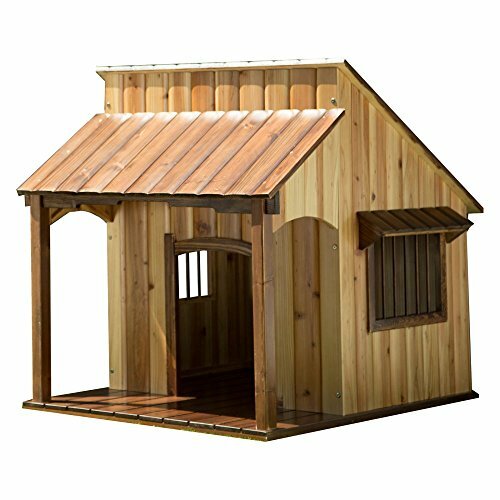 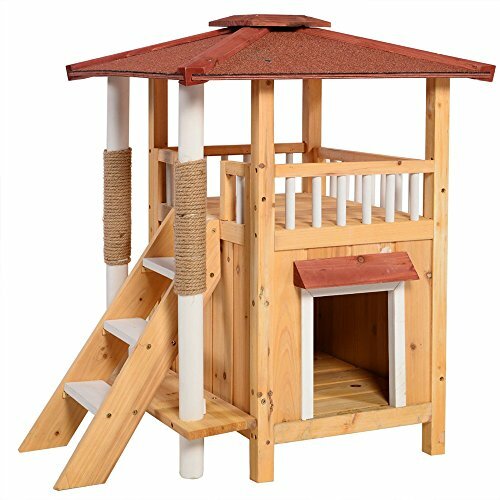 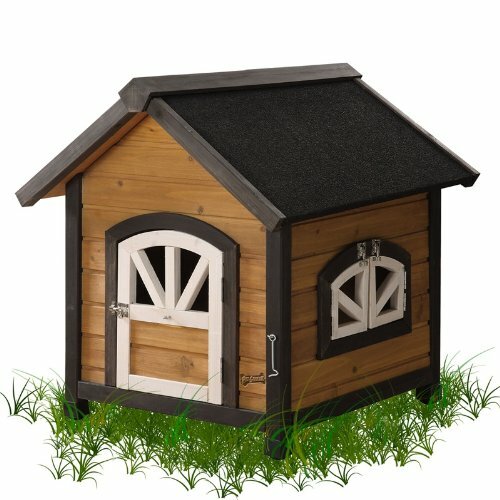 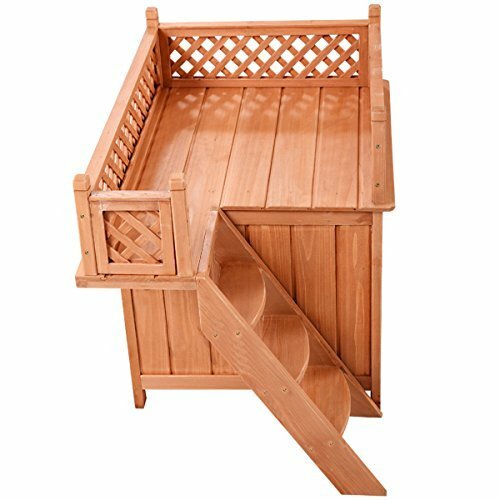 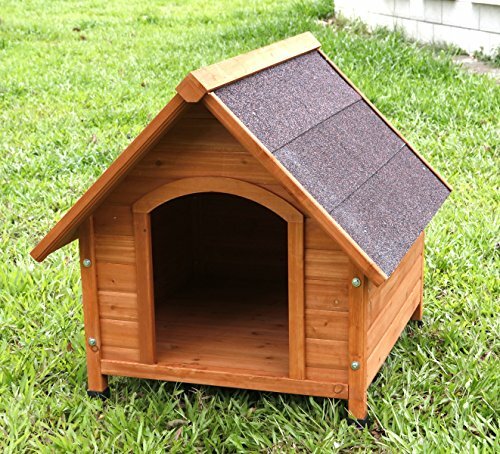 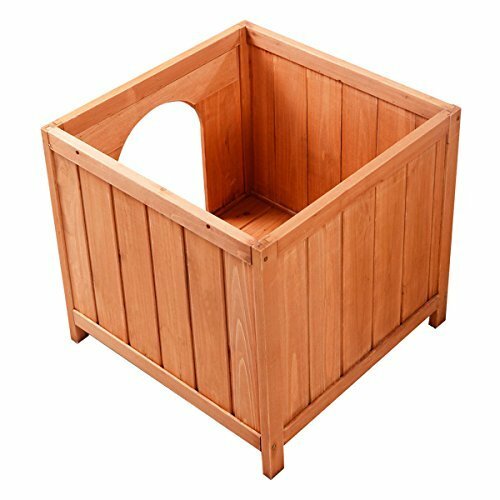 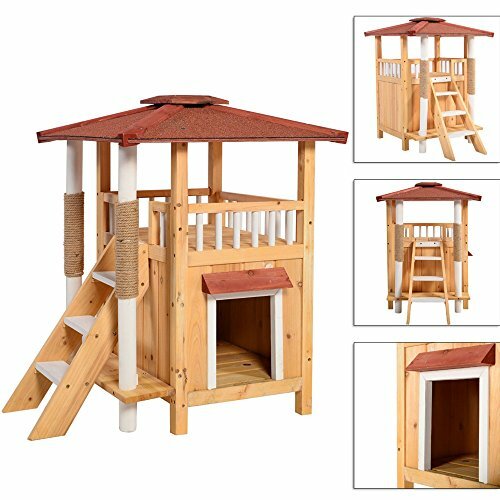 Pet Squeak Wood Dog Houses are designed to be Affordable, Durable, Easy to Assemble, and Comfortable for your pet. 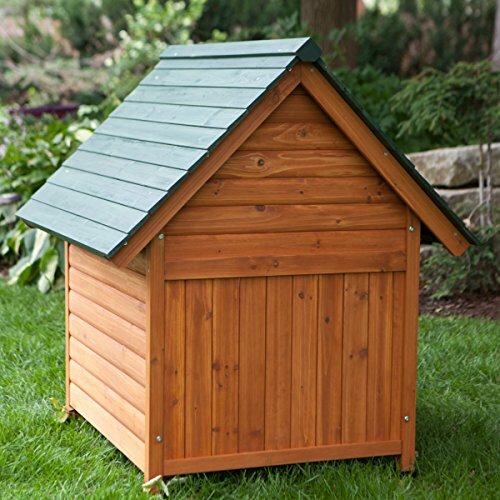 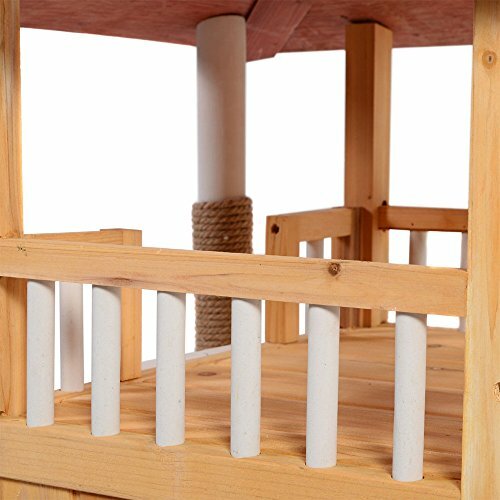 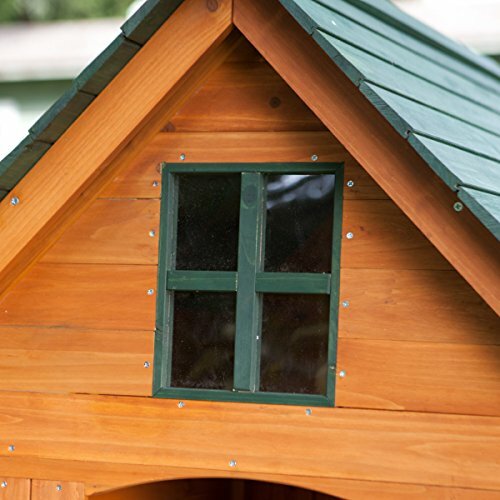 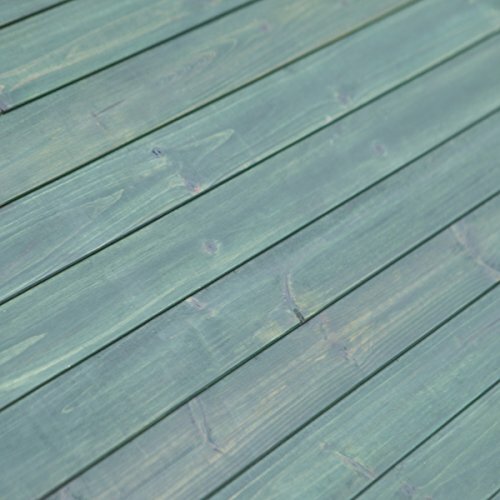 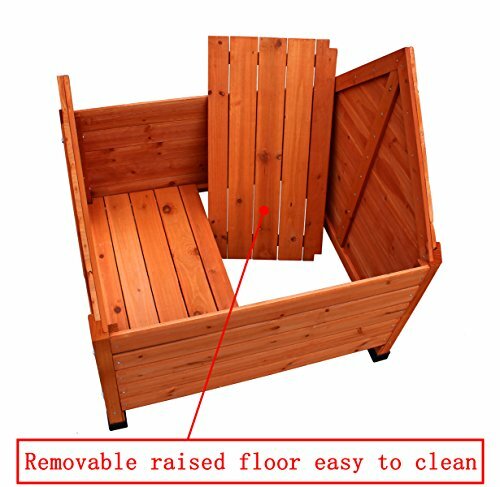 The Primary Wood in Pet Squeak Dog Houses is Cunninghamia Lanceolata, commonly referred to as “White Cedar” or “Stained Whitewood”. 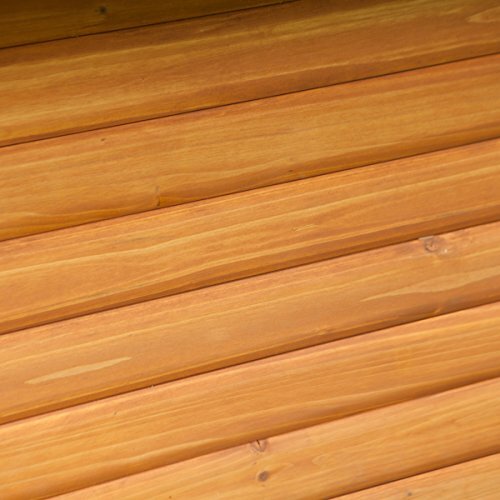 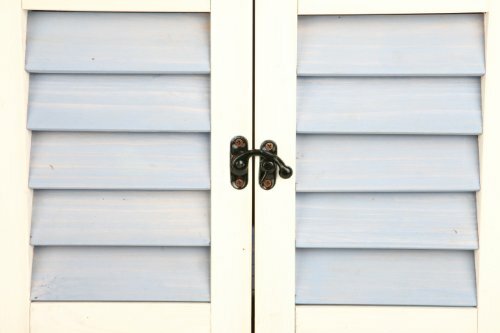 This special wood is renowned for it’s strong fresh aroma and appearance. 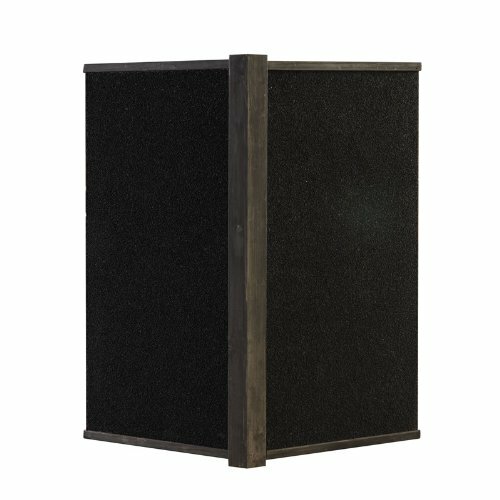 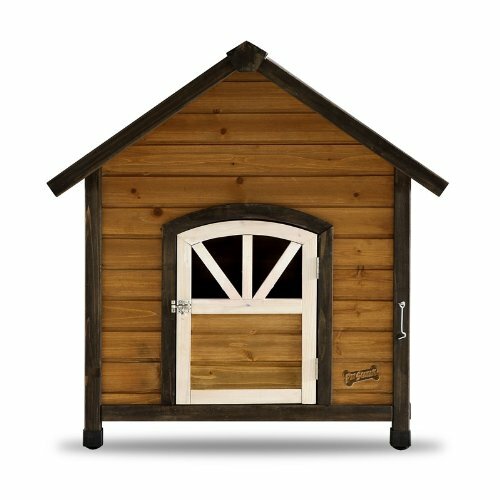 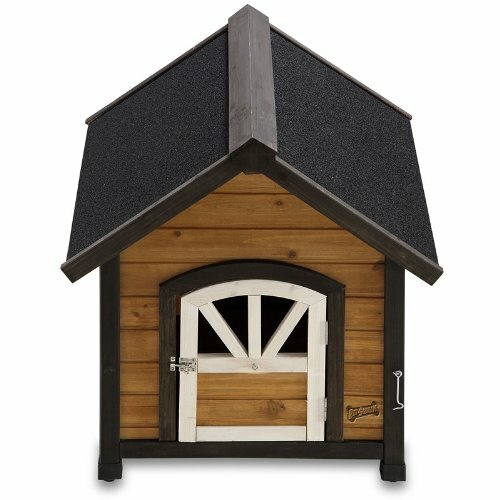 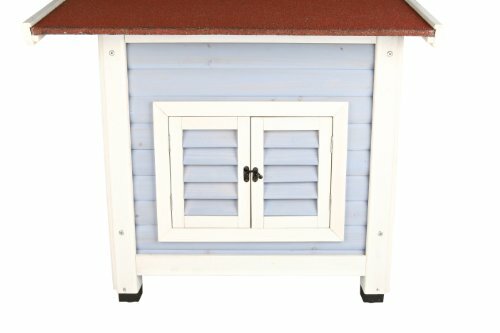 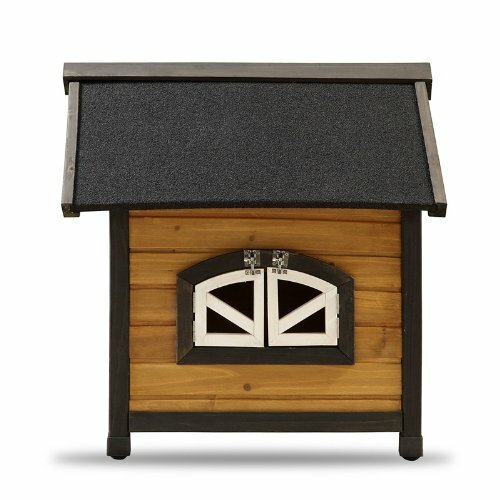 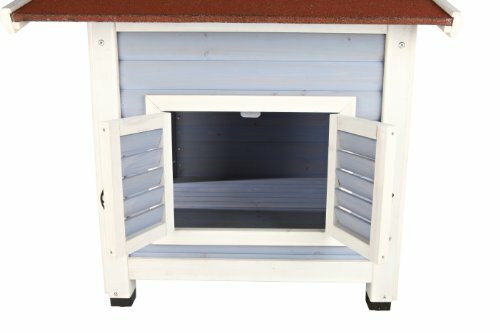 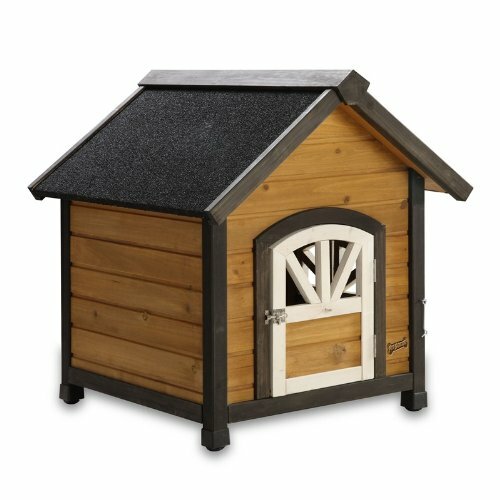 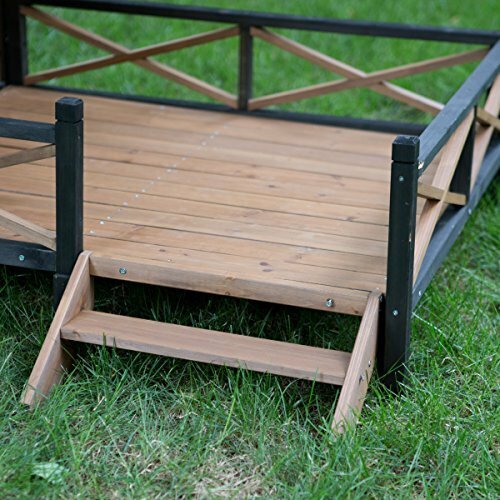 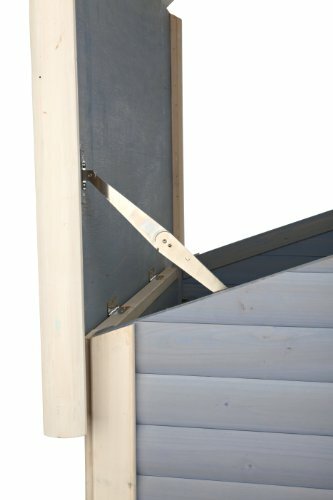 Most of our Wood Dog Houses ship right to your door via UPS or FedEby and require only the assembly of a few panels, normally taking only 20-45 minutes until your pet has their “Own Place”. 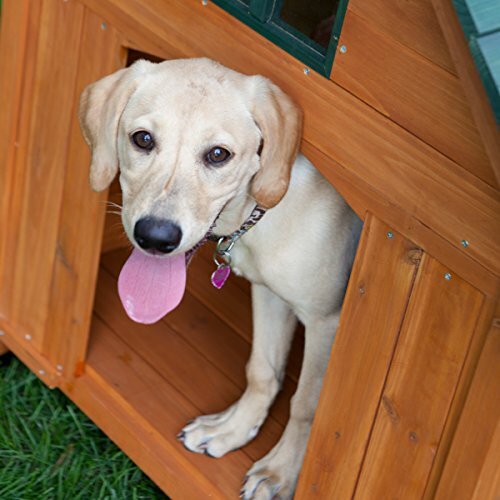 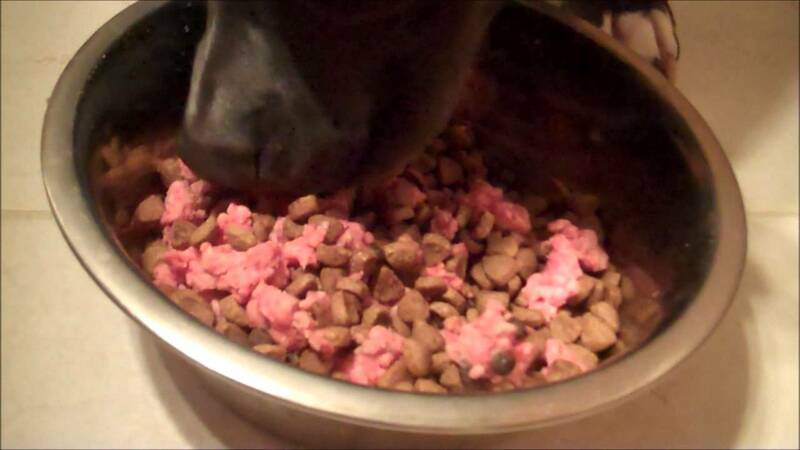 Choosing a Size Weight is the easiest factor in determining the appropriate dog house size, but factors such as breed traits and personality may also be factors. 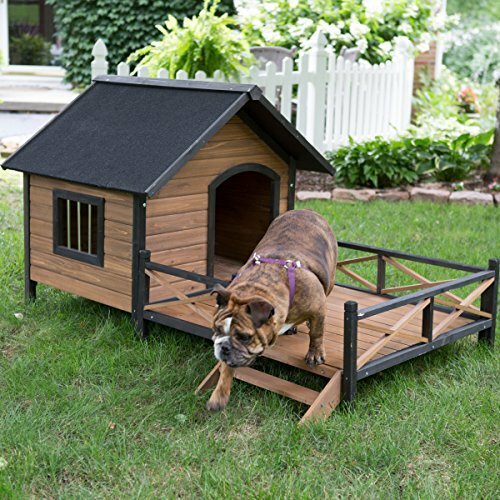 In general, dogs prefer domains that are slightly larger than their body and just large enough to lay down and turn around comfortably. 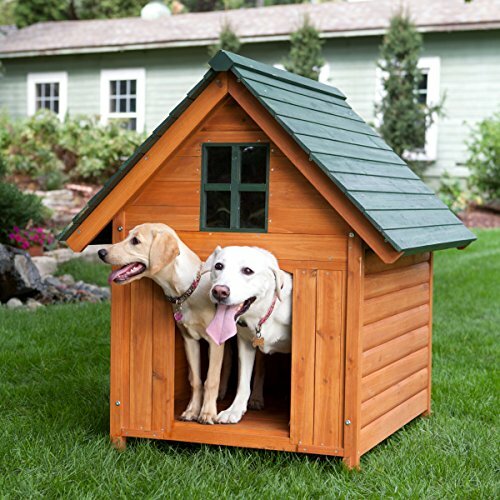 Pet Squeak Dog Houses are generally available in 4 sizes: byS, S, M, L and byL.